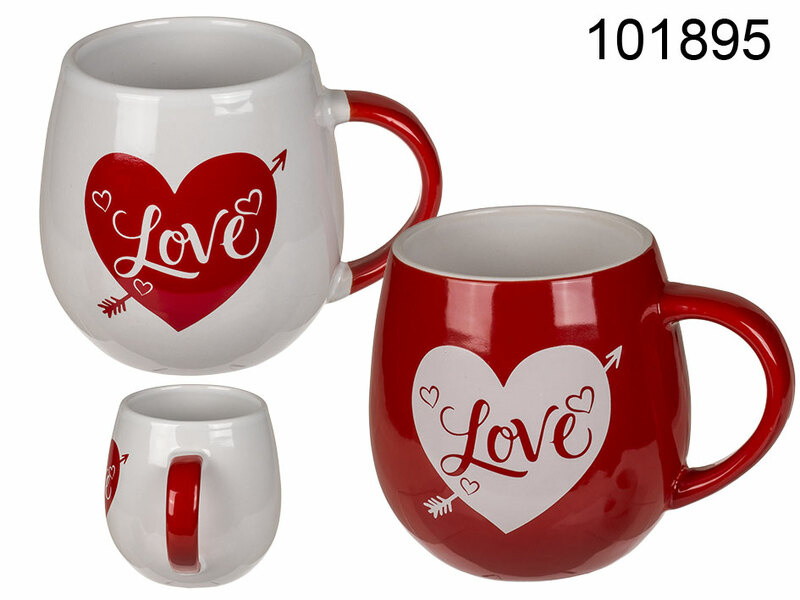 Adorable mug that reads LOVE and is decorated with a heart pierced by an arrow. Large-capacity drinkware item: 420 ml. Two models available - assorted. Romantic promotional item for Valentine's Day.